May was a very busy month for work and play. The month started with Tami flying to Tuscaloosa for our son’s graduation. 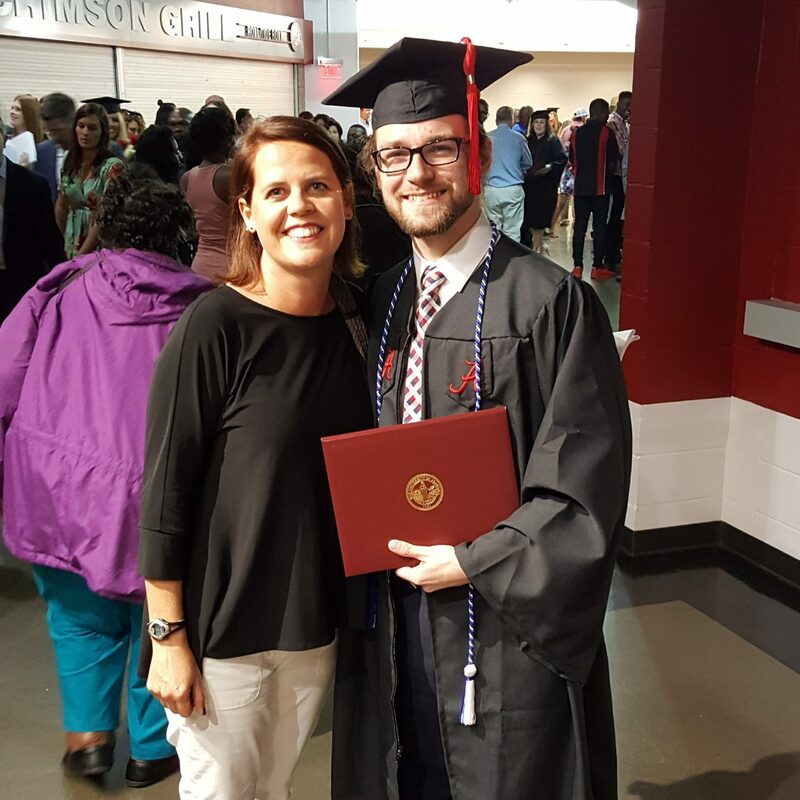 Tyler graduated from the University of Alabama with a degree in Journalism. I had to stay back because Lincoln is too old to be left anywhere that would stress him out, so it was a bachelor week for me and Lincoln. 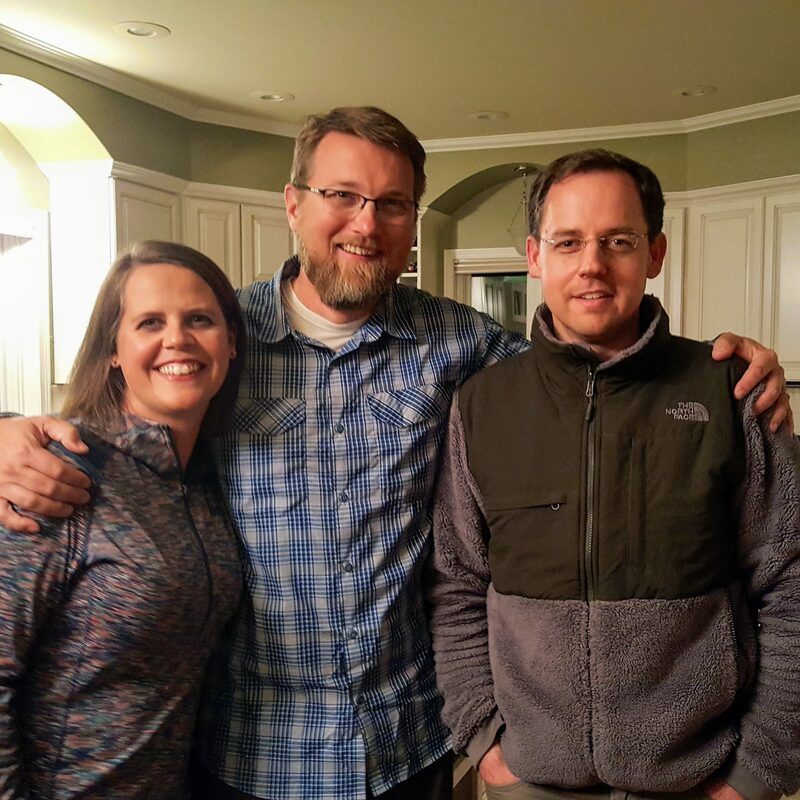 Luckily, I was in Helena at the time and was able to hang out with Ronnie, one of my best friends who happens to be Tami’s brother. 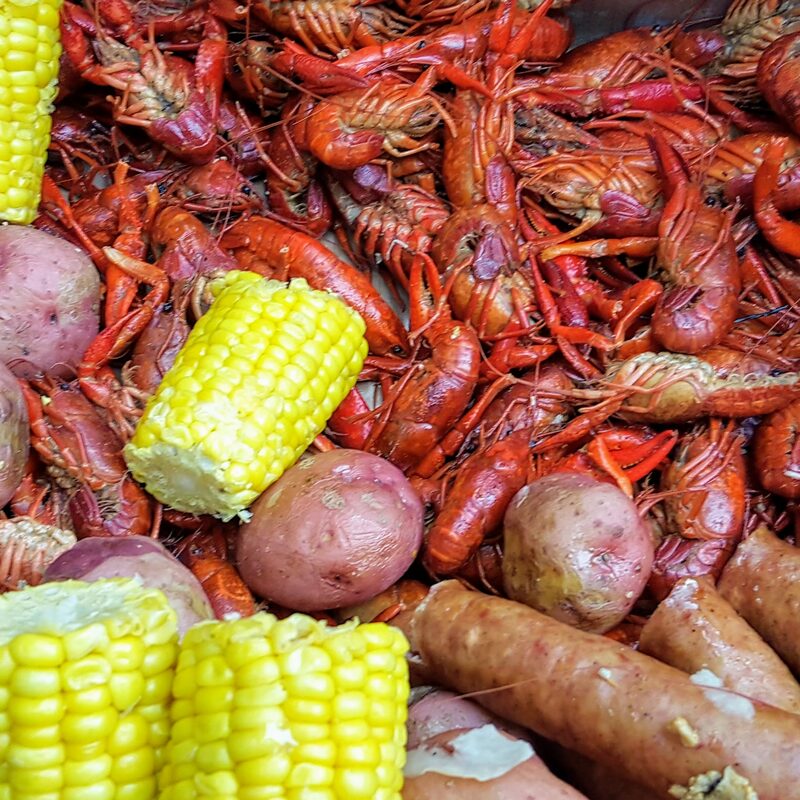 She wasn’t happy about missing that except for the fact she was going to be able to eat crawfish in Mobile, and I will have to wait until December. 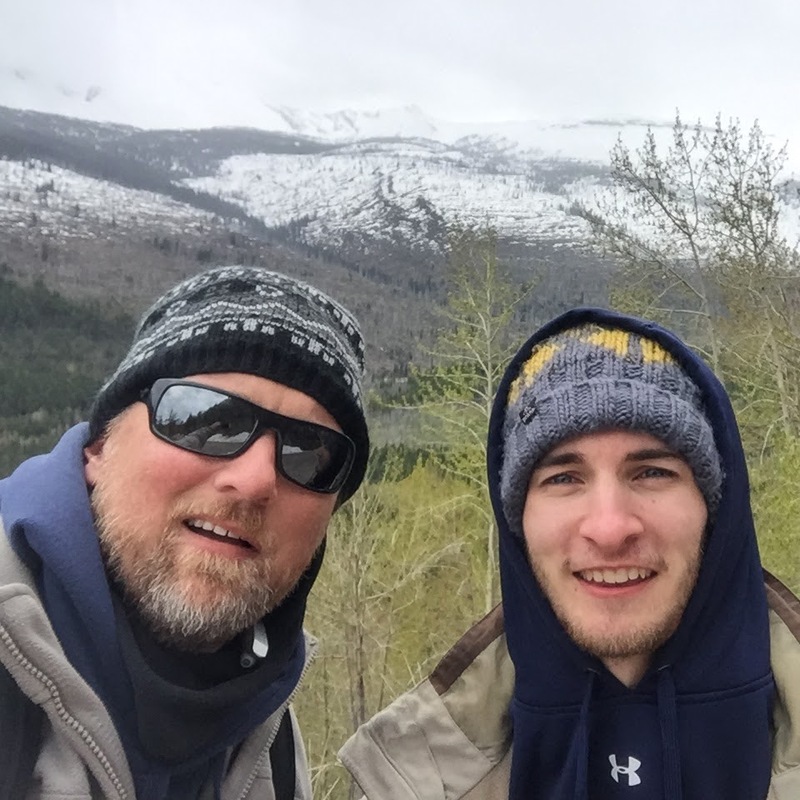 When Tami flew back to Montana a week later, our other son Ryley also flew out to spend a week with us in Glacier NP. 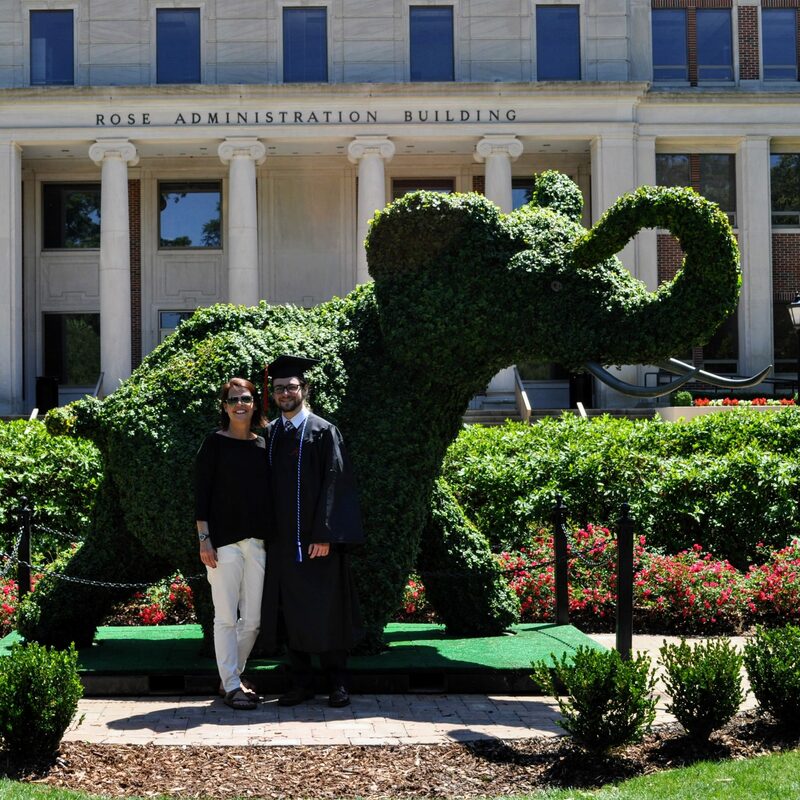 Ryley had just graduated from the University of Alabama with a Masters in Accounting. 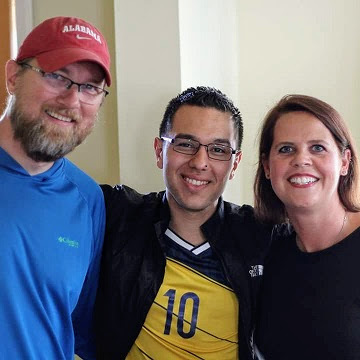 We are obviously proud parents, and when we get an opportunity to fly one of them to see us we do it. 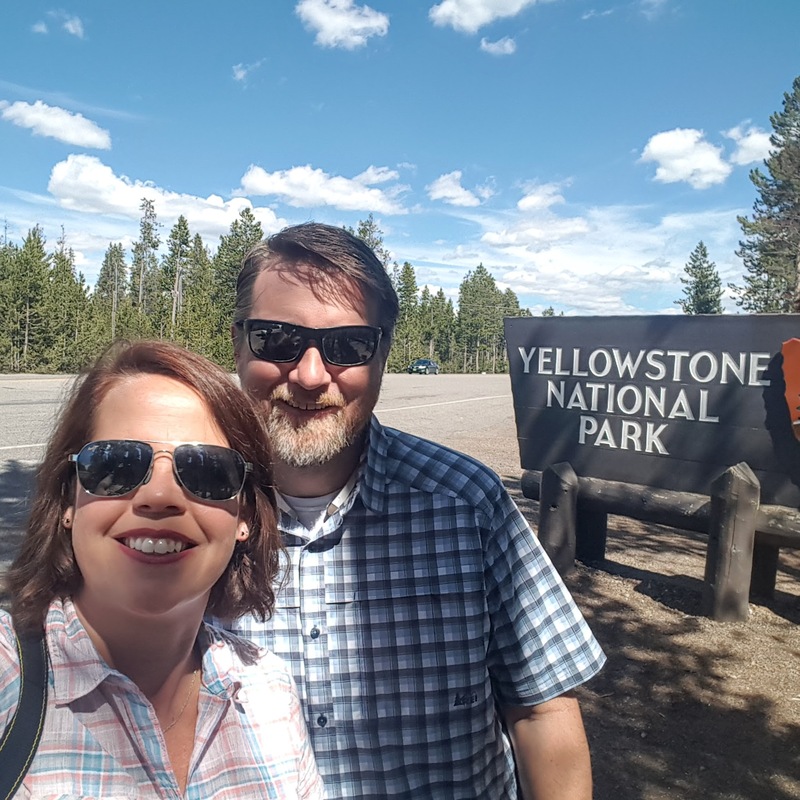 While all of the parks are spectacular in their own way, Glacier and Yellowstone were the ones we were most excited about, and they did not disappoint. 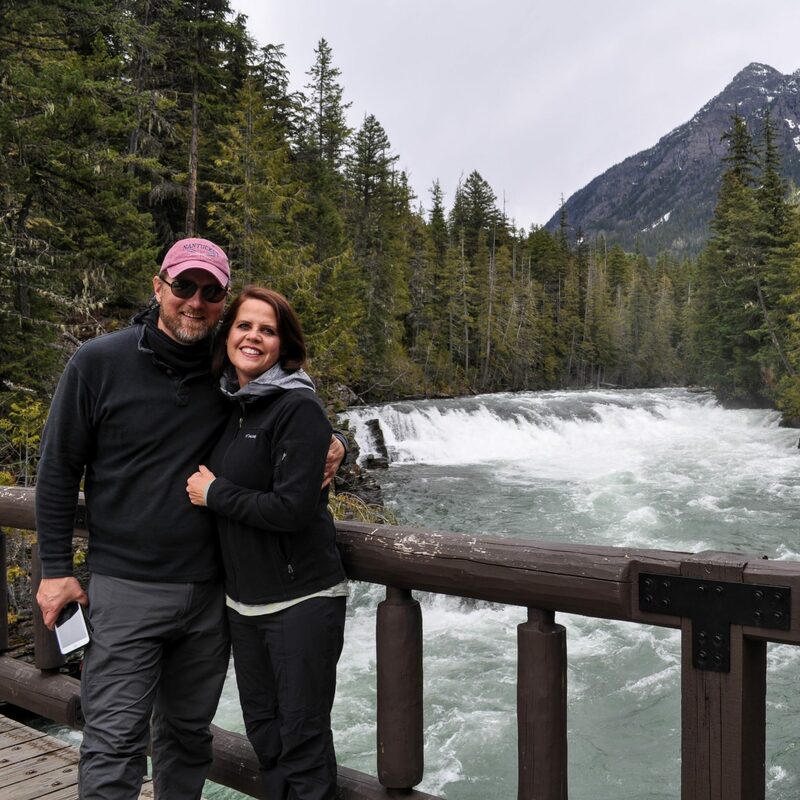 We started out in Glacier NP, and we stayed at the West Glacier KOA at the west entrance of the park. The park was very nice and we had a site that adjoined to a large yard so we could spread out a bit. 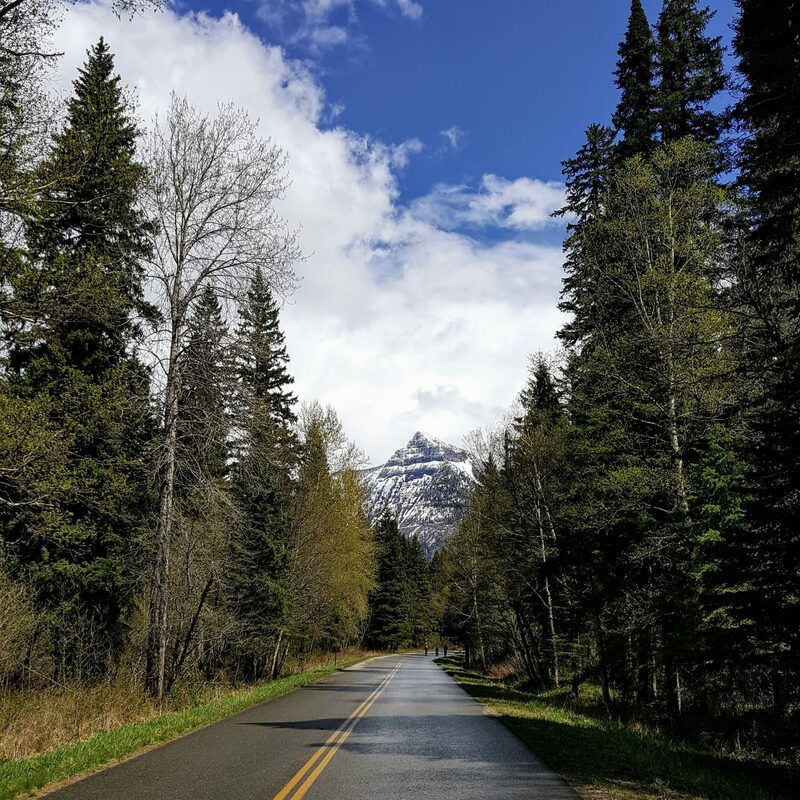 The Going to the Sun Road was not open all the way through when we were there as there was still a lot of snow in early May. 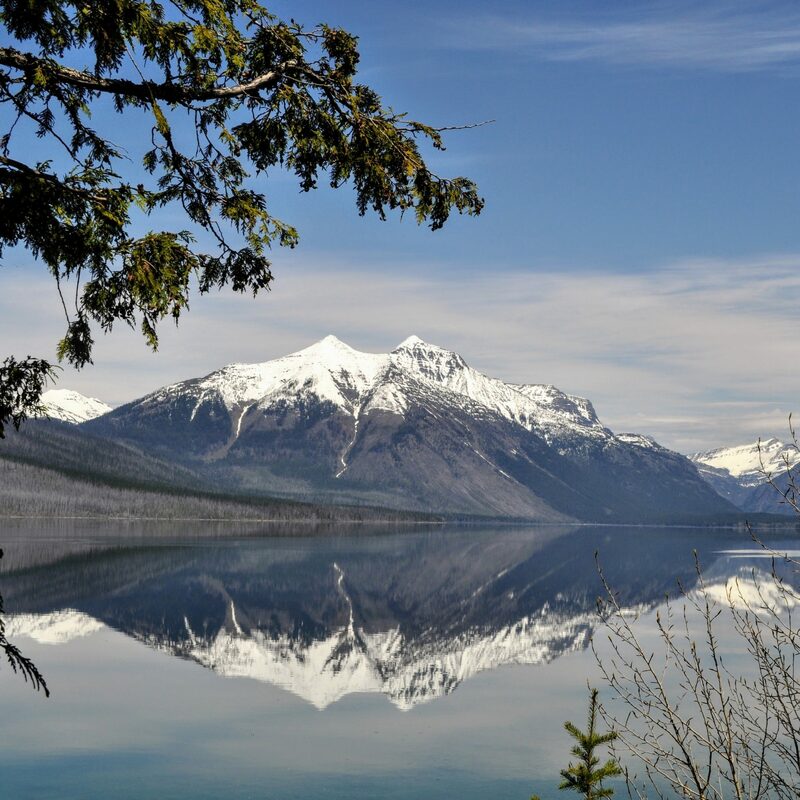 On the first day at Glacier, we went to Lake McDonald and got the special treat of a calm day; the reflection on the lake was stunning! Every other day we were there it was windy and the reflection was gone, so we felt fortunate to get to see it when it was reflecting. 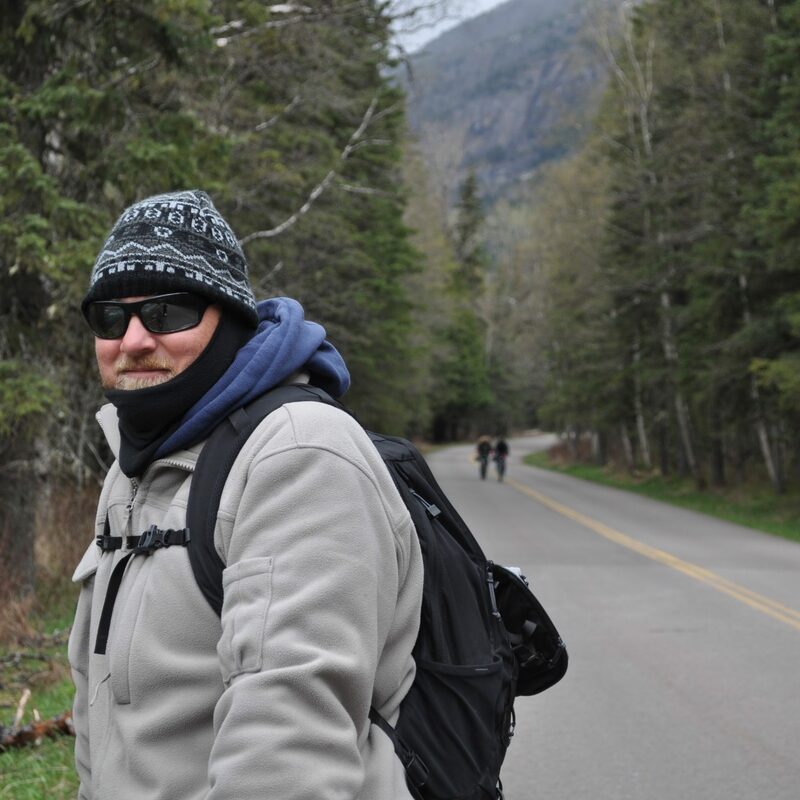 The Going to the Sun Road was open all the way to the Avalanche Lodge stop. You could ride an additional 10 miles by bike to what they call the Loop, which we did. Now don’t start thinking we are athletes; we did have our electric bikes which made the 10 miles up hill a delight. 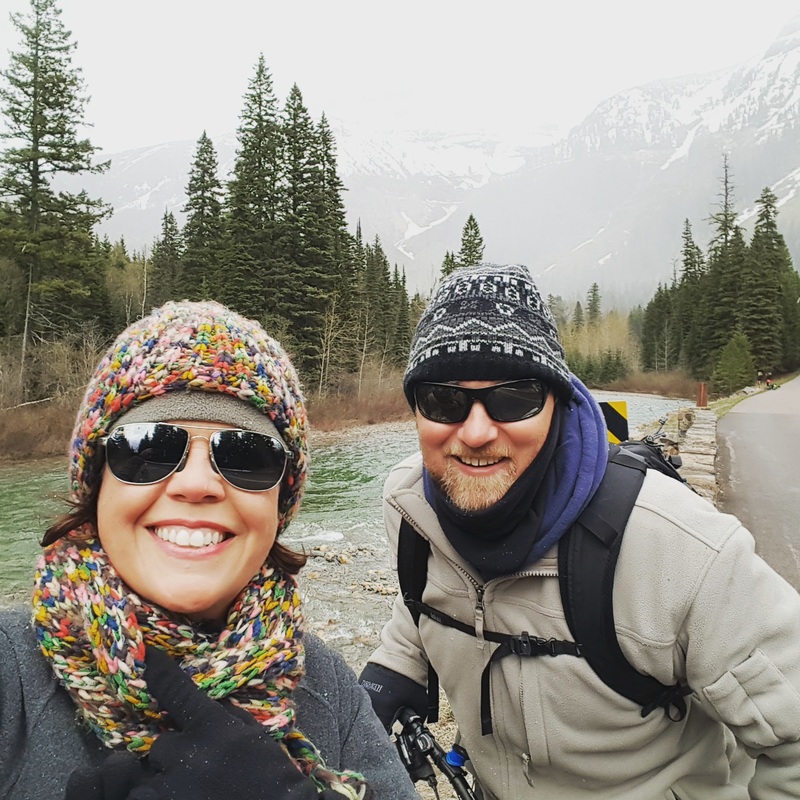 Since there were only 2 bikes, Ryley and I did the trip one day, and then on Mother’s Day Tami and I made the bike ride. We walked a few trails, but not too many. 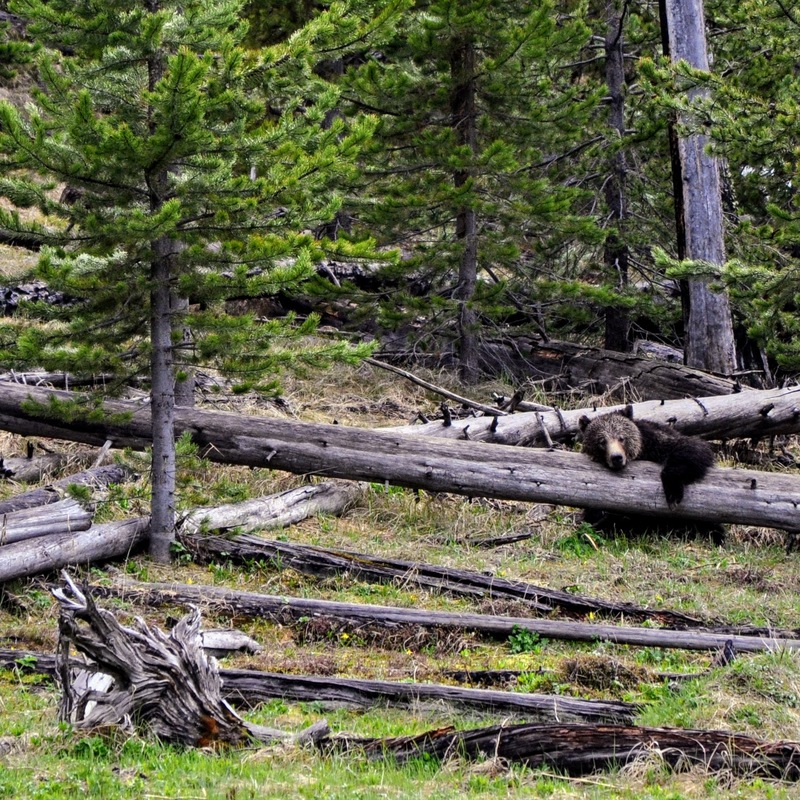 The park rangers were in full force warning everyone about grizzly bears. 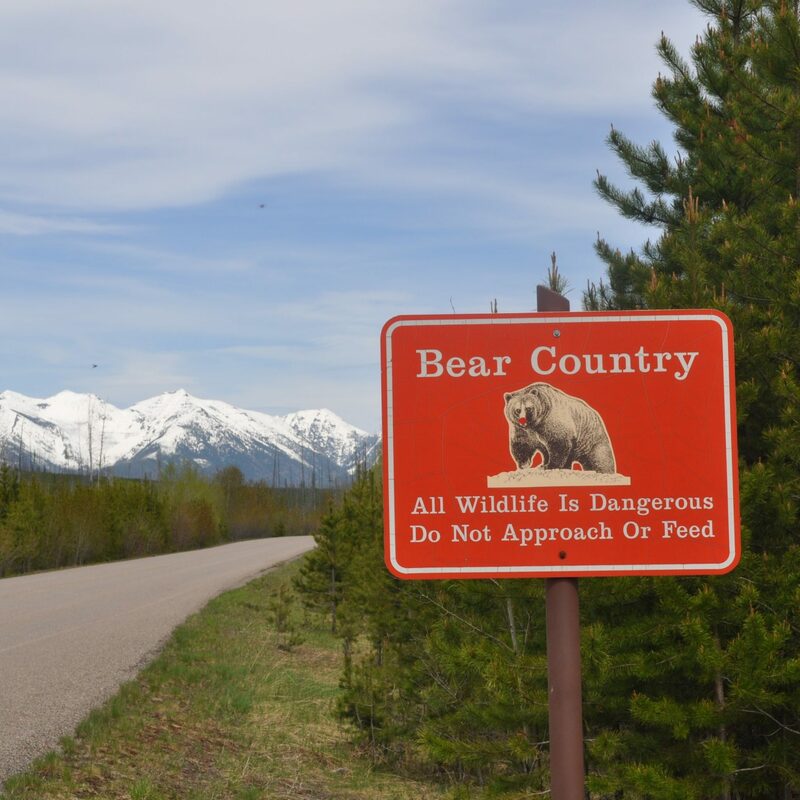 There were signs everywhere that basically stated that a bear can attack for no reason at all and they encouraged you to have bear spray with you at all times. We took a day and drove around the park to St. Mary’s Lake, and we were able to take some more stunning pictures. 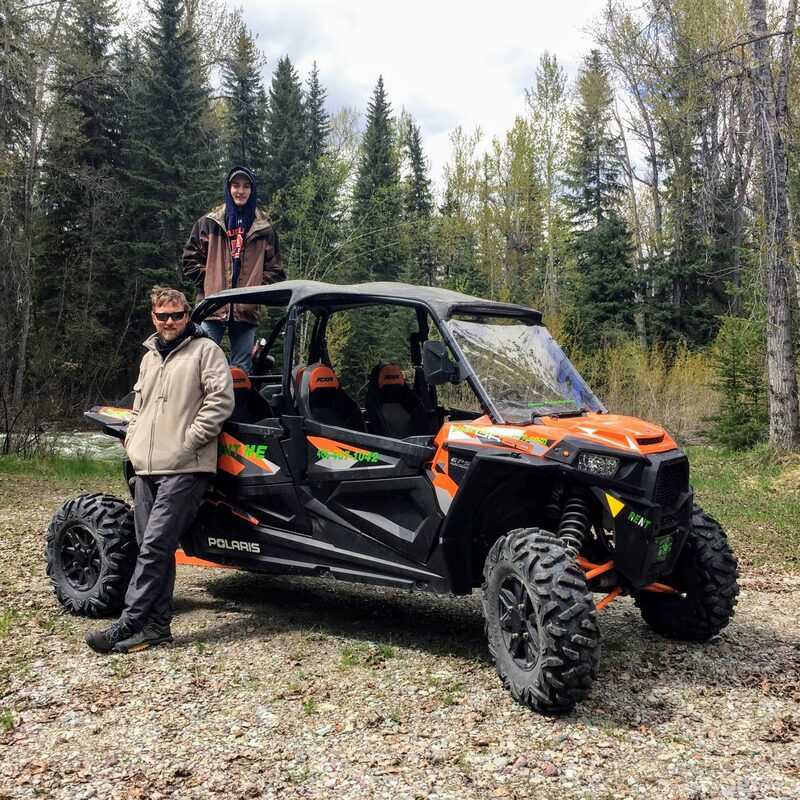 One of our last days was spent taking an ATV to Polebridge to visit Bowman Lake. 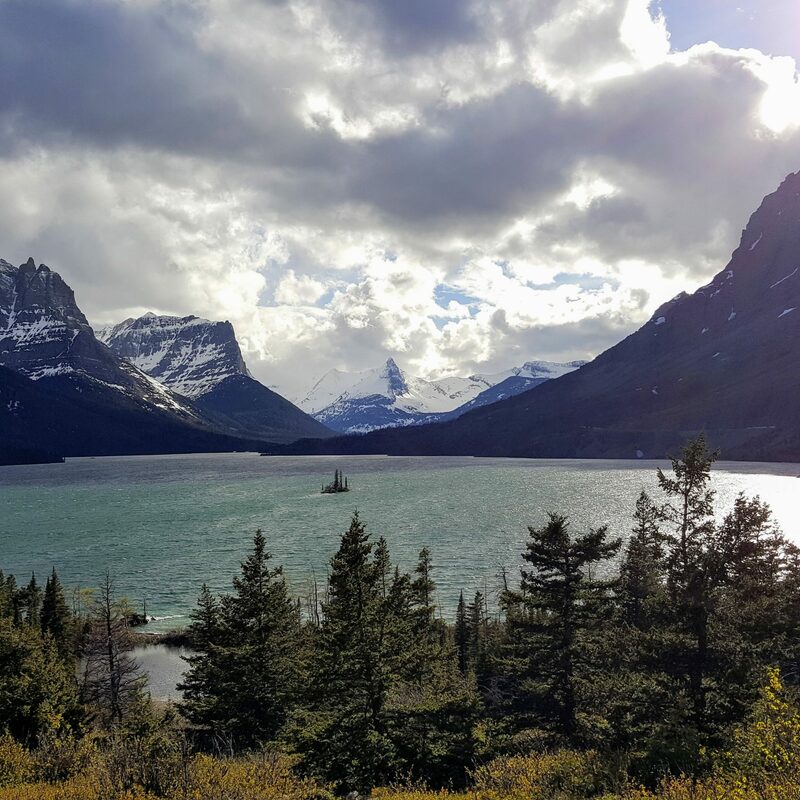 Overall, we rate Glacier a 10 for just the visual presence of the park. When we look back on our pictures, it is mind-blowing that we were able to experience that kind of beauty. 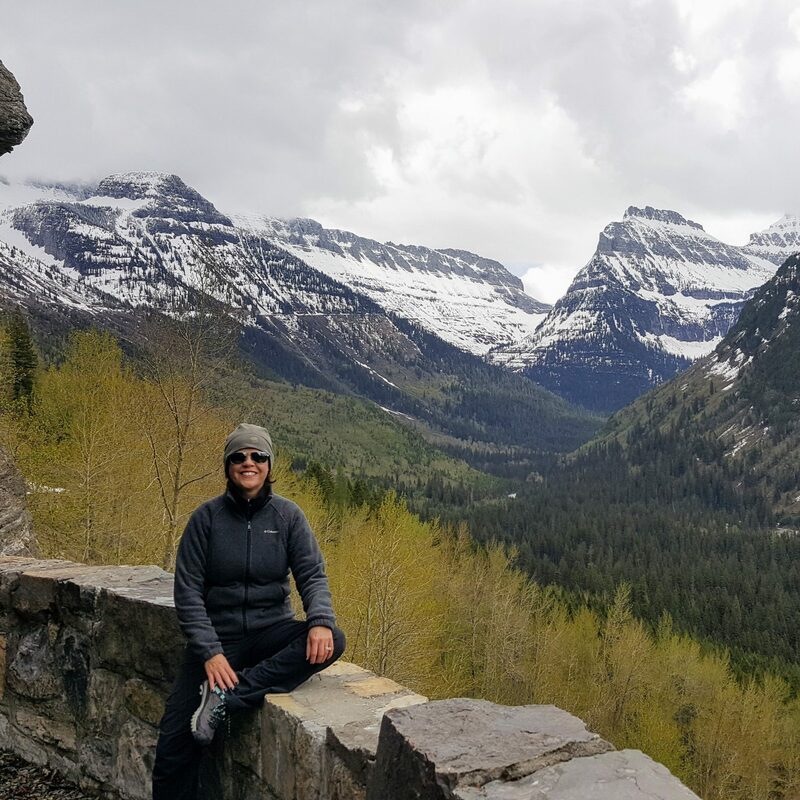 Once we left Glacier we had to head back to Helena, MT as we had a new employee starting and we had a lot of training to do. 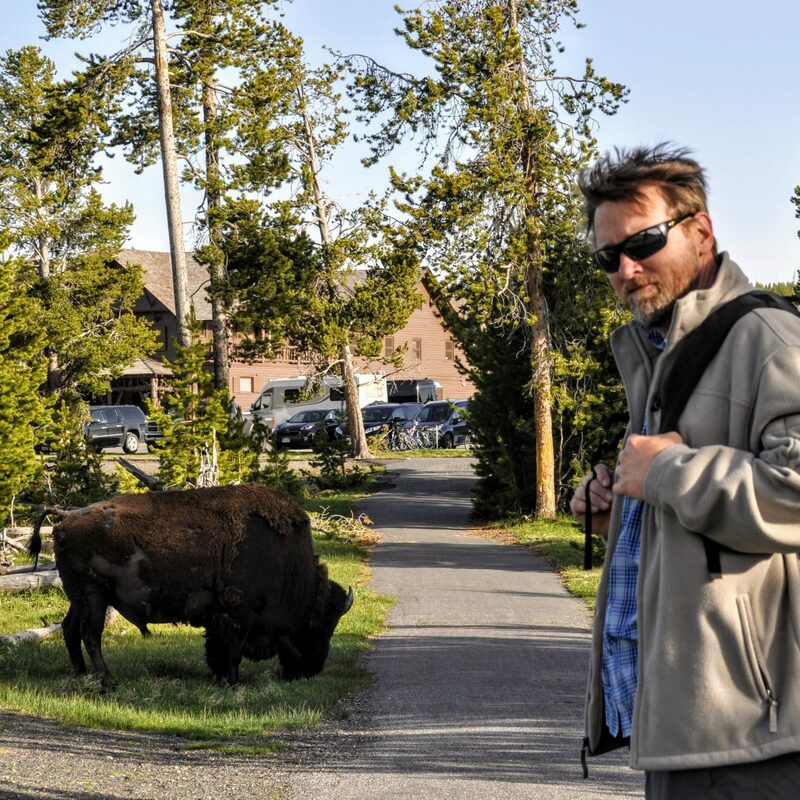 We spent 4 days training, and then we went straight to Yellowstone. 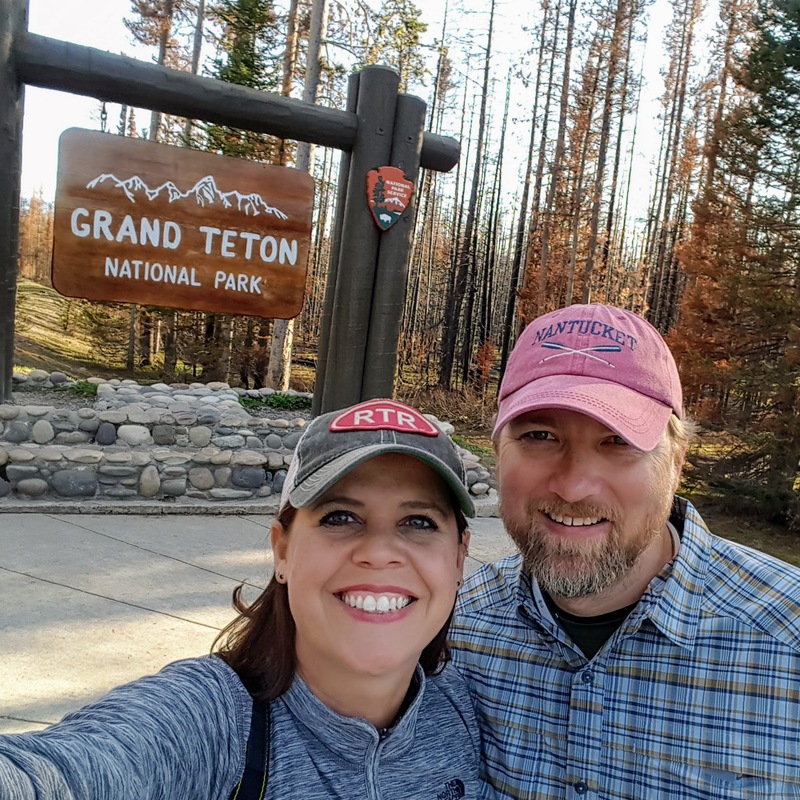 This was Tami’s top location to visit as she use to be an earth science teacher. I knew I was in for an educational experience, and was up for the challenge. 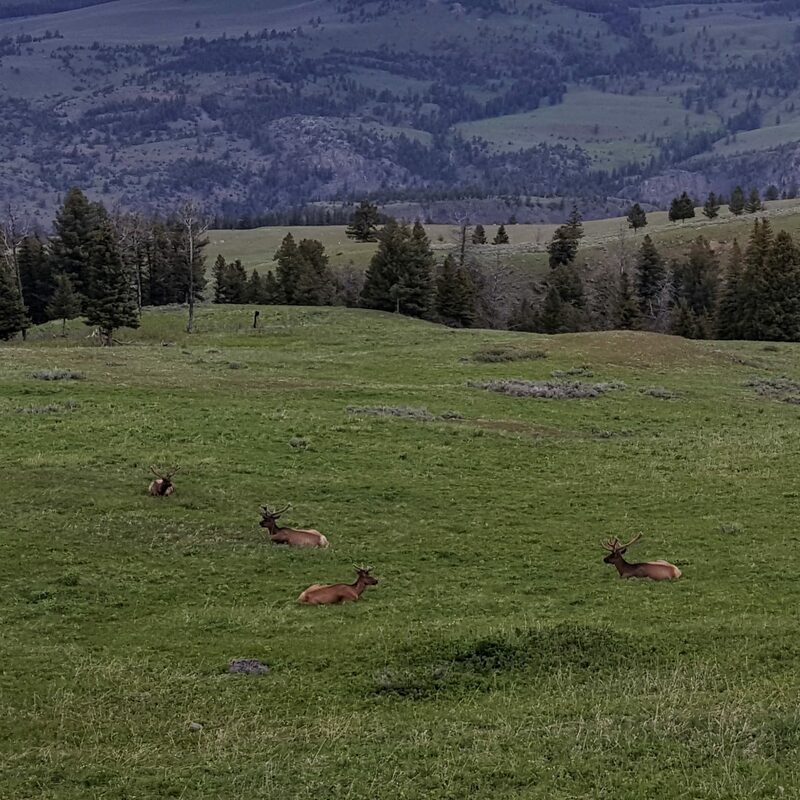 Let me just say, Yellowstone is wild! I told Tami I couldn’t believe they let people in that place. There were wild animals walking on the road, the ground was randomly exploding, and there are ponds that will apparently disintegrate the human body if you fell into it. Nevertheless, the experience was mind-blowing. 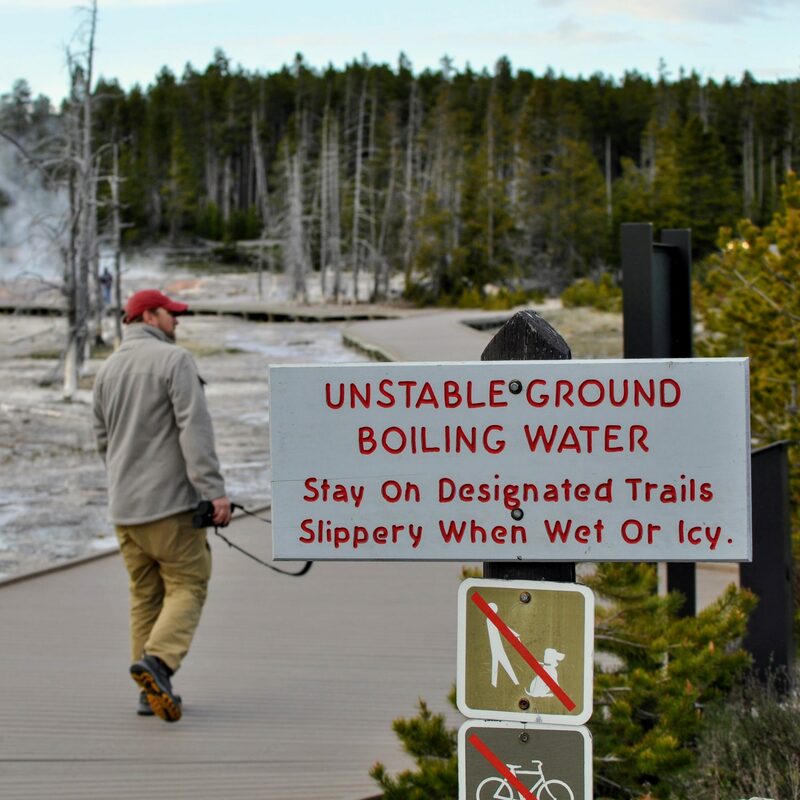 While we felt Glacier had better views, Yellowstone had the better experiences as far as a dynamic environment. 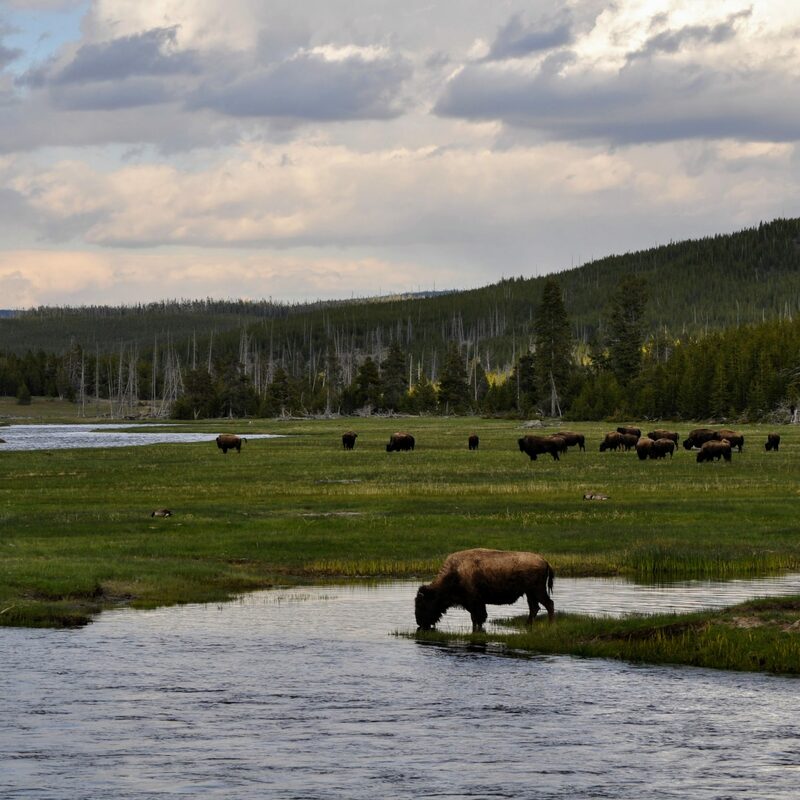 We saw so many bison walking by the road, elk being lazy by a lake, and even a grizzly bear across a river tending to her 2 cubs. 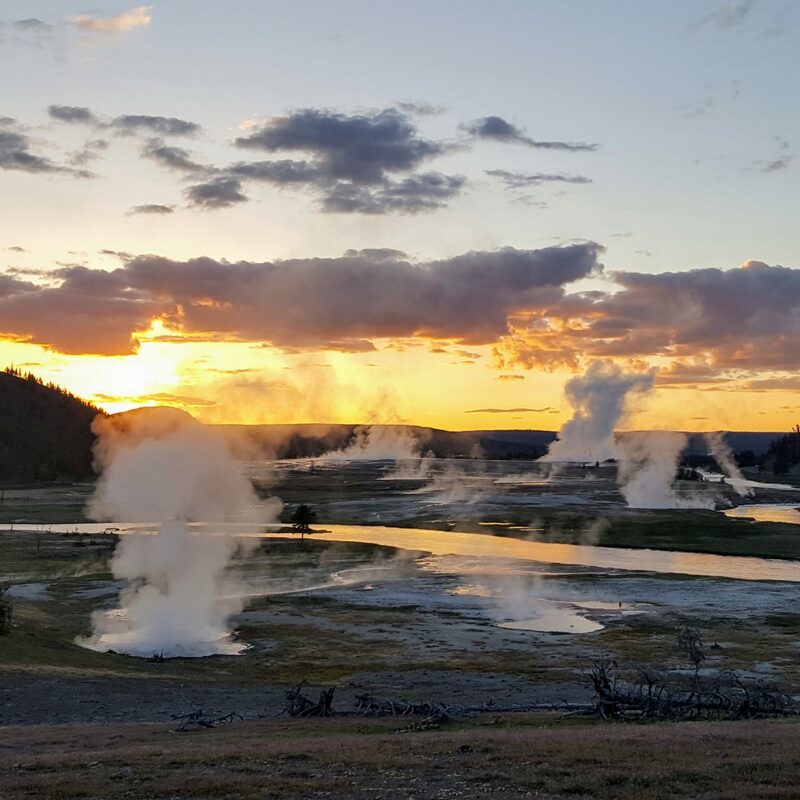 Then there is the geological experiences of the geysers, hot springs, boiling mud, and more. 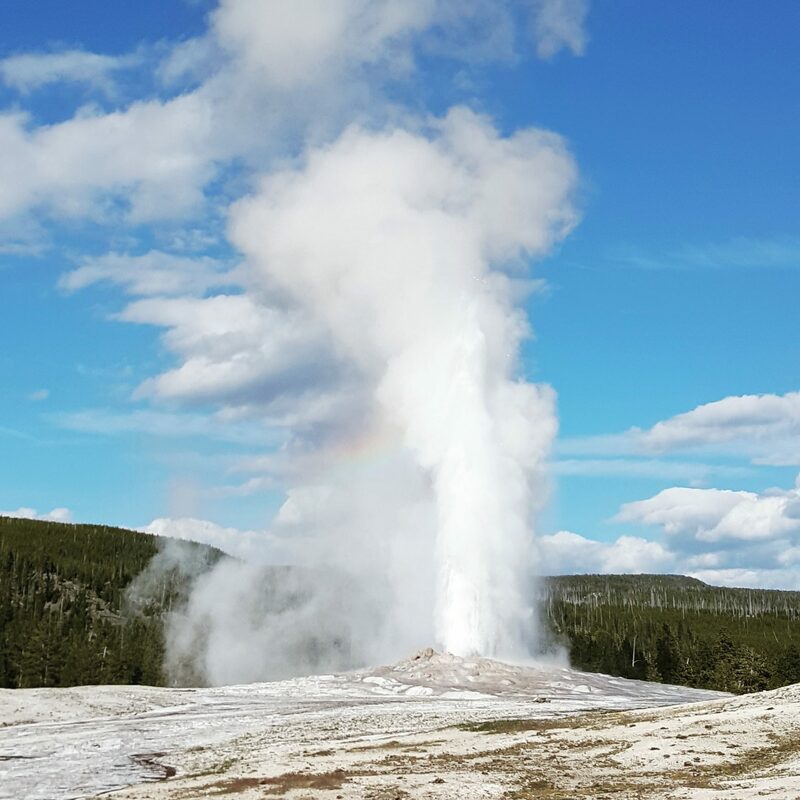 We of course saw Old Faithful, but then were fortunate to see many other geysers go off that are not as predictable. I felt like the geyser whisperer; as soon as we would walk up, they would go off. This happened on three separate occasions where people had waited for hours, and we just walked up and there she blows. It was awesome. 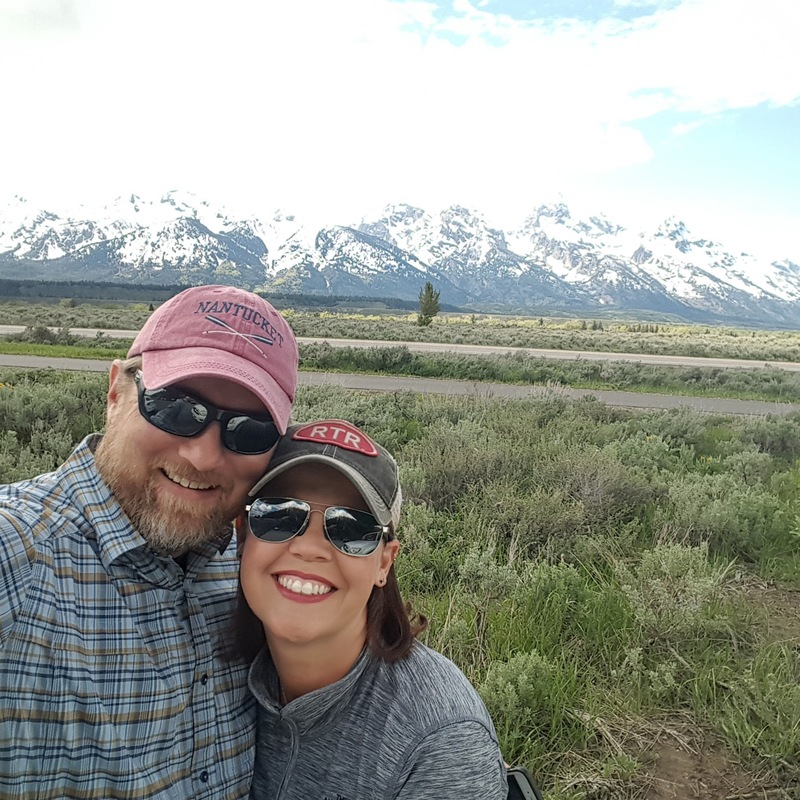 In addition to Yellowstone, we spent one day at Grand Teton National Park since they are so close. Overall, m y favorite area to visit was the Mammoth Hot Springs. This was something like you will not see anywhere else in the world. The colors and formations were spectacular. Tami preferred the Geyser Basins where we had spectacular sunset views. No amount of pictures would do it justice, so we will only include a few of the hundreds we took. Our next stops in June are Washington and Oregon. We are looking forward to seeing some coastline! For more of our May pictures, click here for our May Google Photo Album. Next Post: June 2017 ~ New Jeep & Fun in the PNW!